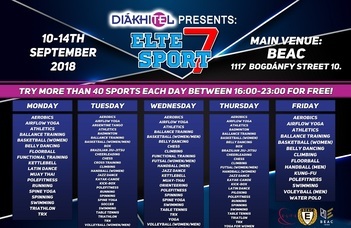 If you still dont know what sport do you want to do, the "ELTE Sport Week" is the best opportunity to find your favourite. Try more than 40 sports for free! Meet our trainers, and make new friends as you play sports! Venue: BEAC, Bogdánfy street 10. For further information please visit the central homepage of ELTE.